First Wish Solutions offers high-quality custom website design and SEO (Search Engine Optimization) services with our customers’ needs in mind. Get Started Now! 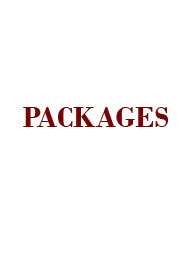 Choose from our list of most popular package. Not sure which package to choose or where to begin from? Simply call us at +65 6440 9570 or email to enquiries@firstwishsolutions.com your questions. Have special requirements for your website? ASK FOR A QUOTE! We will get back to you within 2 working days. All our websites are 100% customized from scratch based on your design and user requirements and of course, business needs. All our projects are done in-house. We do NOT out-source. That’s our quality promise and assurance to you. At First Wish, we always strive to incorporate your business’ unique branding solutions into our website design and SEO (Search Engine Optimization) services to reflect your unique business personality.